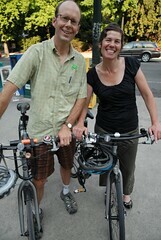 Both Alison and Jay have made it clear they intend to stay involved with bike advocacy. 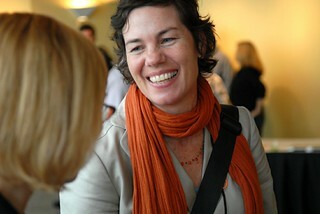 Alison is a board member of the League of American Bicyclists, a post she will keep. Graves took the helm of the CCC in 2010, and continued a restructuring of the organization that was started former leader Susan Remmers. 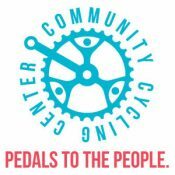 Graves’ legacy at the CCC will be remembered for bringing the issue of racial equity to the forefront of the bike advocacy movement. Her work helped institutionalize the idea of racial and social equity far beyond the CCC. 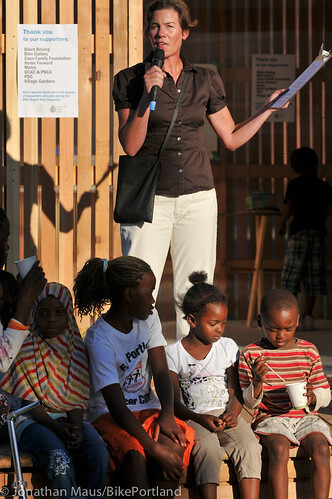 In 2009, she led the groundbreaking Understanding Barriers to Bicycling project. That project made bike advocates confront a difficult question, which we tried to answer in a 2009 story titled, Is our bike scene too white?. in New Columbia last summer. for bikes on Capitol Hill in 2010). Graves’ focus on the issues of race and equity raised awareness of the issue locally, regionally, and nationally. 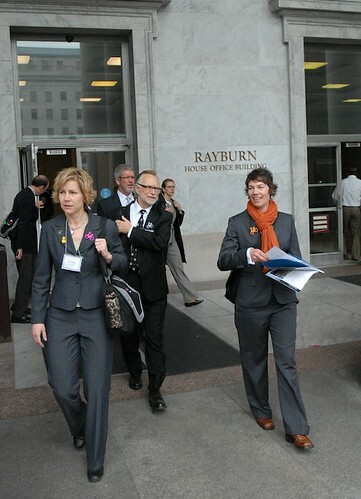 Graves spearheaded a committee on equity in the Portland Bike Plan for 2030, which led an entire chapter devoted to the topic. 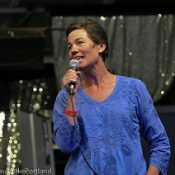 She reached out to organizations like ODOT, TriMet, and east Portland neighborhood activists to put on events like “Bikes for All” and the “Equity Ride.” The CCC also went out into the community and established a presence — and a relationship — with social service and low-income housing organizations. That work was capped by the opening of the Bike Repair Hub in the New Columbia neighborhood last summer. Once the conversation started on the national level, Graves says, “The national organizations and the bike industry started paying attention.” She cited how the industry-funded non-profit Bikes Belong helped fund their Bike Repair Hub, how the Alliance for Biking and Walking began to pay attention to community bike shops, and how the League of American Bicyclists added equity and race-related topics to the agenda at the National Bike Summit. Graves shared that she’s excited for this year’s National Bike Summit where she says the League is set to announce a new diversity initiative. Jay and Alison Graves in 2008. Best of luck Alison! Your perspective, hard work, and eloquence around what is often a sensitive issue, was an inspiration to many. Thanks for all the work Alison! I hope you and Jay have a great time exploring this country of ours! Thank you Alison for your leadership at the CCC! The work the CCC has undertaken under Alison’s leadership is absolutely vital for maturing and growing Portland’s active transportation movement to include new leaders and new understandings of how broader social justice issues are not just something for us to be concerned about, but something to address within our own work and our own organizations. Best of luck on the next chapter, Alison. Wow! Thanks for all the hard work that you have done, I was always happy to see you at events with your wonderful smile, you made everyone feel like family! Thanks Alison for the amazing work you’ve done over the years, and for the valuable insight you gave me and others in the community in our own endeavors! Like Susan before you, you will be succeeded at the CCC but never replaced. CCC has been fortunate to have some amazing people at the helm, and I wish them luck finding another outstanding Exec. Enjoy your trip, and best of luck in your next adventure! What a fantastic résumé. Thanks for all the hard work. Hope to see the programs continue and thrive. Lots of great work. I’m glad Ms. Graves is confident that it will continue.